Creativity is at the forefront of what 21st century companies are looking for in their employees. 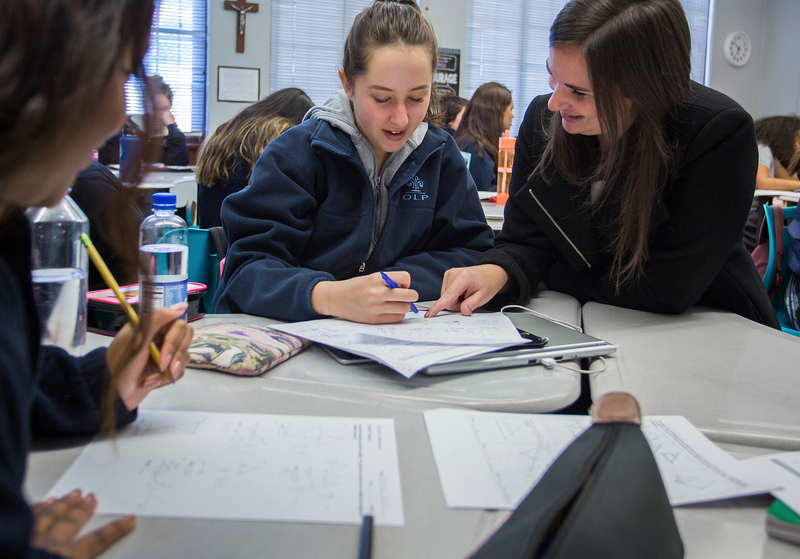 Here at OLP, students continue to break the mold and think outside the box of normalcy and expectation. We give you all the tools you need to succeed in college, including our block schedule and college preparatory curriculum. Our wide variety of electives allows students to explore different disciplines or tailor their education to a particular field of choice. For example, we offer a STEM Certificate for students who wish to pursue a STEM field in college. OLP faculty also strive to incorporate interdisciplinary topics and projects into their courses. Our new zSpace Lab further allows faculty to infuse virtual reality and new technologies into their lesson plans, whether they are learning about geography or history. You will find that our curriculum is designed to prepare our students for work in the global economy while also instilling a commitment to civic responsibility, so our graduates become positive forces within their community, church and nation.